Traffic signal at westbound Rand Road near Town & Country entrance showing missing visor for yellow light, where the visor fell and cracked the windshield of a Ford Explorer Tuesday afternoon. 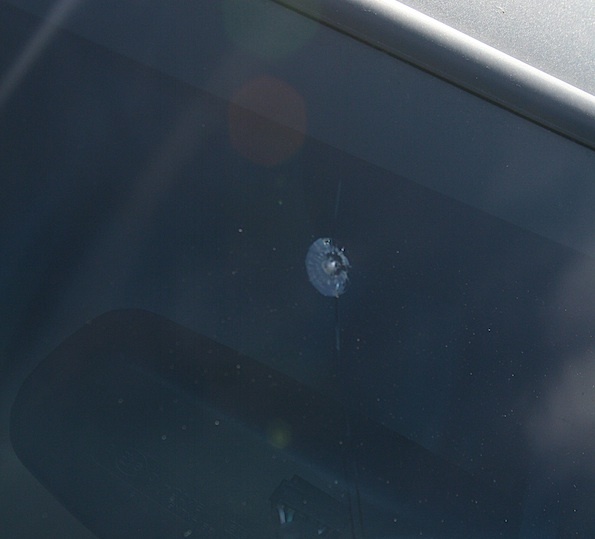 Arlington Heights police received a report about 1:16 PM Tuesday of damage to vehicle from a stop light at Rand Road and the Town & Country entrance near Best Buy. Police received a report that a part to a street light fell and broke the windshield of a vehicle. Actually the visor of a traffic signal fell onto the windshield. 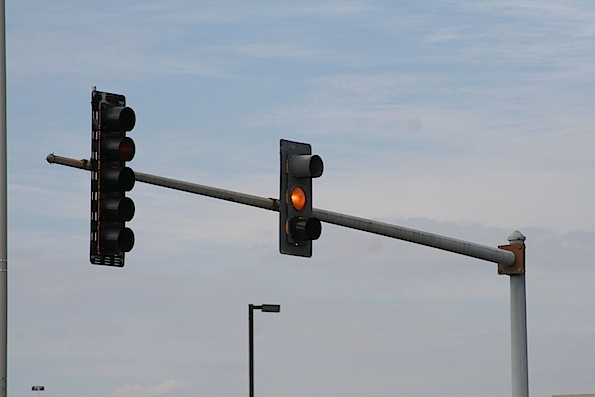 The westbound ‘yellow light’ overhead visor fell onto the windshield of a Ford Explorer. Another missing visor was discovered at the overhead for the ‘green/yellow arrow’ on Northbound Kennicott Avenue at Dundee Road. The visors are bolted on by several bolts. No word on whether they become loose or are sheared. The weight of snow on the visor can stress the connectors. Chipped windshield after traffic signal visor fell on vehicle. Traffic signal visor also missing at northbound Kennicott Avenue at Dundee Road, Arlington Heights. 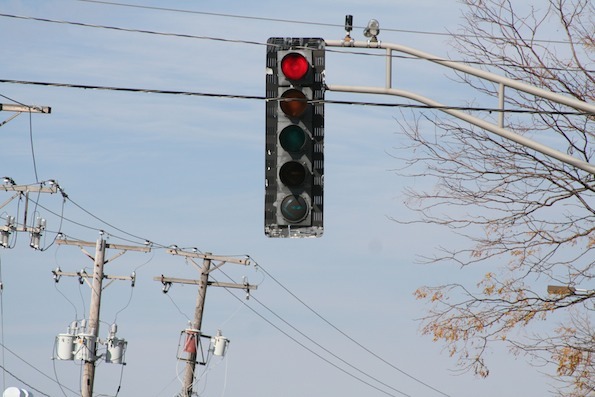 Meade electric is responsible for traffic signal installation, maintenance and repair for about 200 communities, including Arlington Heights, in Northern Illinois.